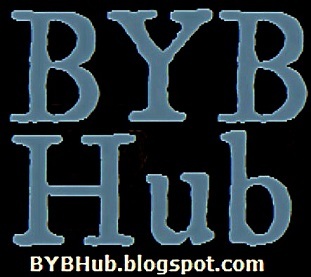 It's Christmas, and we here at BYB have a special treat for you. Now, let me state that I haven't been this excited to release an interview with a couple I admire since I did a 3 camera shoot in TV production class in college with my parents... and of course, our interview with Laura and Jorge Posada was outstanding. Today, on Christmas morning... we present an interview with Amber and CC Sabathia. People dedicated to helping others and people that I truly appreciate. They work hard, they lead by example and I am honored and thrilled to share this interview with you today. Oh, and let me state that I could never have done this without the hard work and dedication of my friend Kathy Jacobson. She is the best at her craft and I thank you Kathy, very much. 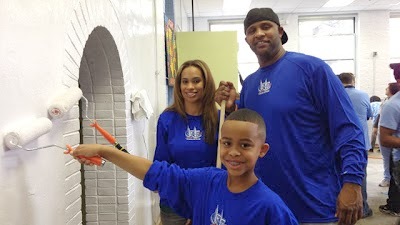 BYB: How does the Sabathia family celebrate Christmas and what makes it special for you? Amber: We love the holidays and Christmas is very special to us for many reasons but it’s such a season of love, family and of giving. This is the first time we will actually be having Christmas at our home in New Jersey…we usually spend Christmas in California with lots of family and friends. So we are really excited about it and it will be very special. BYB: You are both heavily involved in charity work. I admire that and was blown away by your generosity after Hurricane Sandy giving back to communities that were left with nothing. Give us an idea of how important giving back is to your family? Amber: We’re very thankful for what we have, and we want to help others in any way we can. Giving back and caring for others is at the heart of our family. CC and I both grew up in the inner city in Vallejo, CA and understand the needs of children and families. We established our PitCCh In Foundation five years ago that really focuses on helping inner city youth and we also participate in many special projects here in the tri state area and in our home town of Vallejo, CA. BYB: What's coming up for the PitCCh in Foundation? How can my readers contribute? Amber: We have a lot coming up in 2014. Our Signature Programs keep growing and serving more youth. We are particularly proud of our Youth Backpack Program, where we give public school students backpacks filled with school supplies. This idea originated from CC's mom Margie. When CC was younger, Margie would worry that she wouldn't have enough money to provide CC with his backpack and school supplies. We want to help alleviate this stress for families in our community. We also use our kids' school list as a guide to fill all the backpacks. In 2014, we will give out another 5,000 backpacks filled with school supplies. Totaling over 20,000 backpacks distributed since we started. 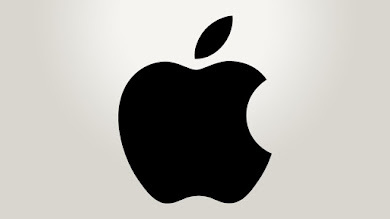 We also have a few other initiatives coming up that we can't announce quite yet, but trust me, they are good! We are always looking to expand our donor base because we can't do this alone. We want to reach any many youth as possible, especially those who need to be inspired and motivated to pursue their dreams. Your readers can donate on www.PitCCh.org or consider sponsoring a team for the CC Challenge, our annual fundraiser and scavenger hunt in Central Park. BYB: Amber, What's the most important thing to you around Christmas? Who's at your table and what are you serving? 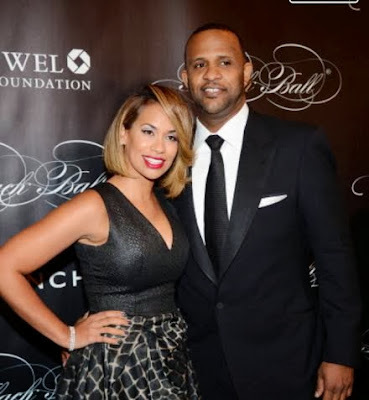 Amber Sabathia: The most important thing to us is having our family together and as I said earlier, it’s the first time we will spend Christmas here at our home in New Jersey since moving here. Our family will be at our table including my brother Joe and his family, my mom, and Margie, CC’s mom and all the kids. We are serving some of our family favorites that include Ribs, lasagna, honey baked ham, mac and cheese, collard greens and potato salad that is one of Margie’s specialties and everyone looks forward to. BYB: Amber, tell us about how your clothing company, CCandy got started and what's coming up in the clothing line? Amber Sabathia: When I would shop the team stores all I could find was the standard blue for boys and pink for girls. I designed CCandy for myself and for my four kids who love to wear bright colors and support daddy. CCandy is a fun fashion brand that can be worn anywhere like to school, to a party or to a baseball game to show your support for your favorite team. We officially launched last August and things are moving very quickly. Kids love to wear CCandy and my four kids are really the inspiration behind the line. 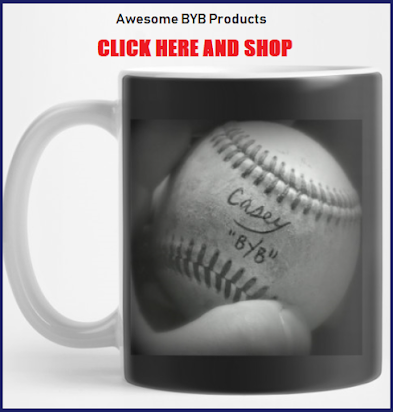 I’m really am excited about 2014 when just about every MLB team will be carrying CCandy in their team stores and online at MLB.com. 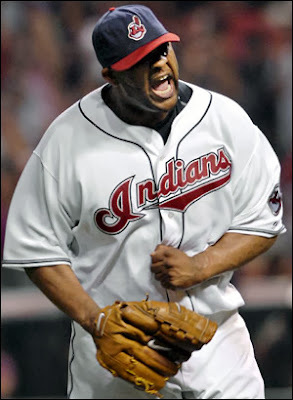 BYB: CC, you were a staple in Cleveland and after a brief stay in Milwaukee, you came the Big Apple. What's the difference between pitching in New York City compared to Cleveland or Milwaukee when it comes to the fan base? CC Sabathia: I enjoyed my years in Cleveland and they will always be a part of my baseball family, the city is great and the fans are great. It's never easy to leave an organization you played with since day one…but I was traded to the Brewers and though I was there for only a few months, I enjoyed my teammates, and the fans were very welcoming. But nothing can compare to New York. It really is a family organization, with great players around you and you have a chance to win every year, and that’s what you want as a player. 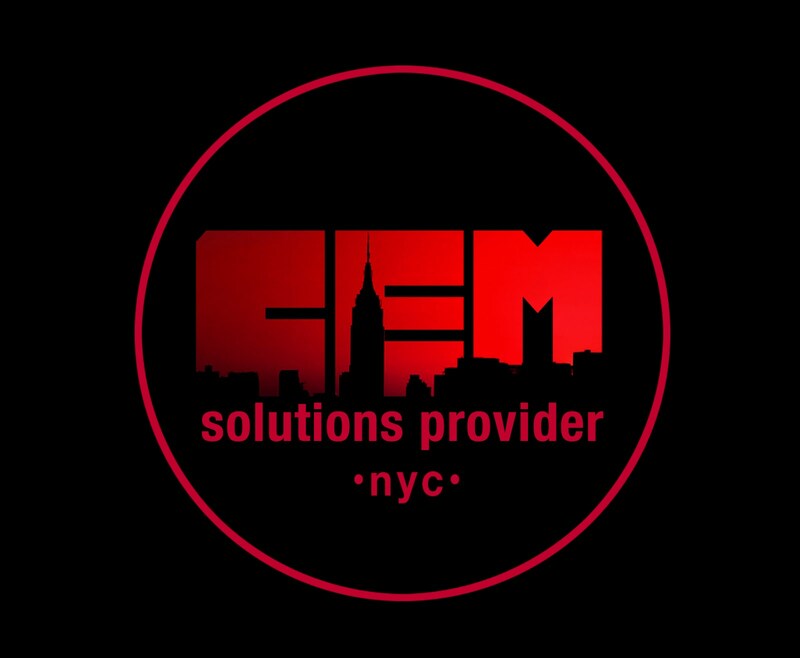 The fans are the best, very passionate and knowledgeable and we’re playing on the largest stage….We love being here in NYC! BYB: Amber, How did you and CC meet? 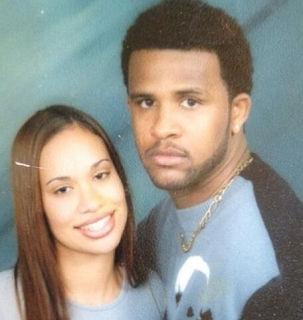 Amber Sabathia: CC and I met in high school and I just knew he would be my husband infact, when I came home after meeting CC, I told my brother, I just met your future brother in law. BYB: CC, explain what it's like to play with a Captain as dedicated and passionate as Derek Jeter? 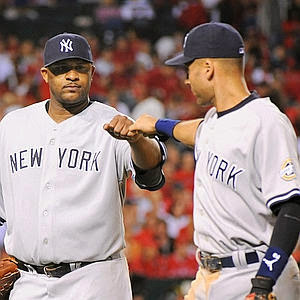 CC Sabathia: He’s a great teammate and a great friend. He's a first class guy, a true professional both on and off the field. He’s just so smart about this game and I love talking with him. I know he's worked very hard this off season and excited to having him back with us. BYB: CC, my son has a question... "What is the 1 thing you think about when you stand out on the mound in front of 55,000 people during game 1 of the World Series?" 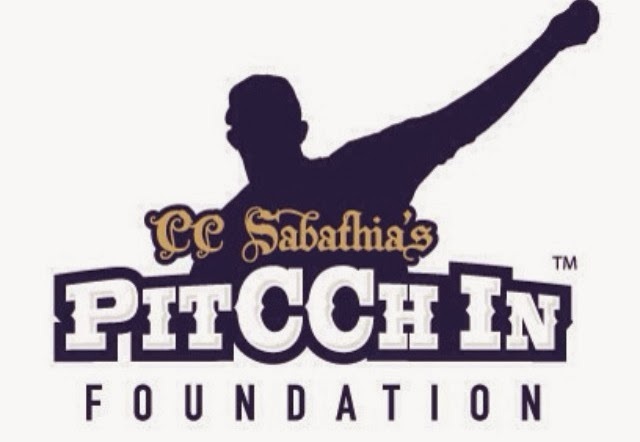 CC Sabathia: It’s very exciting because the World Series is what we all play for and have dreamed of since little league….I do my best to tune everything else out and just stay very focused on each batter and stay with our game plan. BYB: Amber, can you give us an update on your Steiner auction? Amber Sabathia: The auction ended last Friday and it was really a great experience and we continued to raise funds to support the JCC. BYB: Final question... do you read Bleeding Yankee Blue? If so, what do you think? 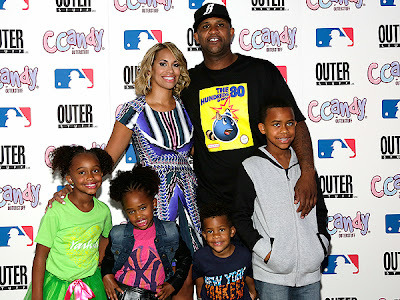 Amber Sabathia: Yes, of course! We truly appreciate your ongoing support. 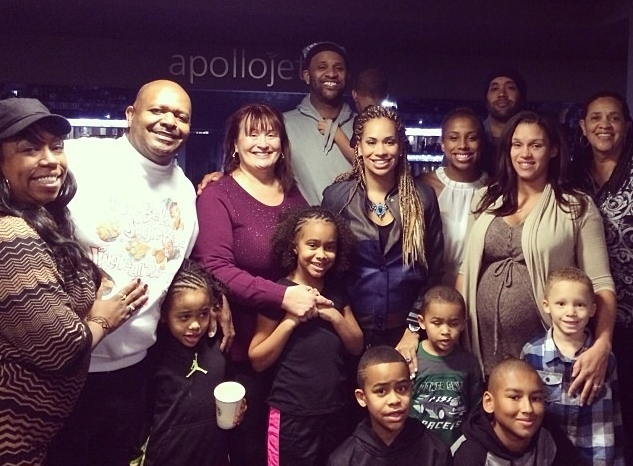 From the Sabathia family to yours …we wish you all Merry Christmas and Happy Holidays! A wonderful couple and I'm very happy that we were able to have the Sabathias share alittle about themselves for the Bleeding Yankee Blue readers. It's a great day and to Amber and CC, Thank you... you both are terrific and you're now part of the BYB family! 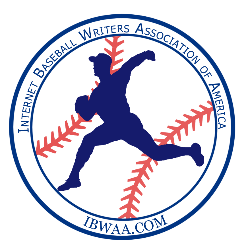 Thank you to all the Bleeding Yankee Blue readers for continued success. You've made BYB the fastest growing Yankees fan site in the history of Yankees fandom. Thanks for reading, sharing and enjoying. 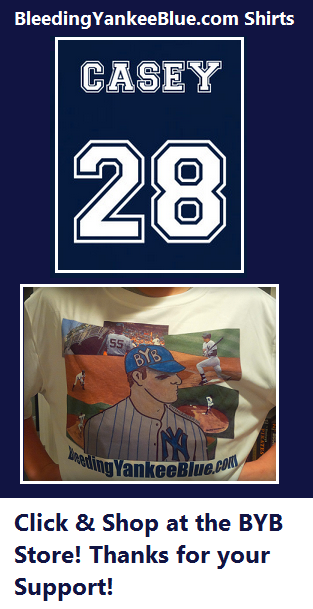 Follow me on Twitter @BleednYankeeBlu and join the group Bleeding Yankee Blue (Official) on Facebook, just type it in.